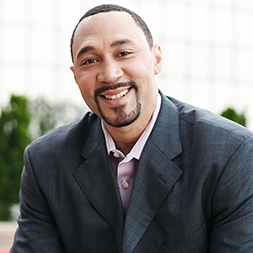 Charlie Batch is an NFL quarterback whose professional career spanned 15 years, 60 touchdowns, and more than 11,000 passing yards. He was drafted in the second round as a starting quarterback by the Detroit Lions in 1998 from Eastern Michigan University, where he had set numerous school and MAC conference records. In 2002, he joined the Pittsburgh Steelers as back-up quarterback and was instrumental in critical game wins that led the team to Super Bowl XL and XLIII. His leadership within the NFL extended far beyond the gridiron to include positions as the vice president of the Executive Committee for the NFLPA and NFL spokesperson for the United Way. Today, Charlie is the founder of the Best of the Batch Foundation, and he works as a community advocate, media personality, and professional speaker who takes his “Expect Your Best” message to audiences across the country at Fortune 500 companies, nonprofit organizations, universities, and more.